Smartphones are used all the time and for more than just texting and phone calls. A smartphone is perfect when on the road and utilizing GPS capabilities, but when driving, it can be challenging to keep up with the device. With an air vent cell phone holder, your car enthusiast will have their phone right where it needs to be. That way they always know where they are going, and can easily follow the map directions. There is nothing worse than being on a road trip and getting a flat tire. With an automatic cordless tire inflator, filling tires is a breeze when they get low. At around $90, this tool will help tires stay inflated with ease, shutting off automatically when the PSI is reached. A dead battery is frustrating for any car fanatic. 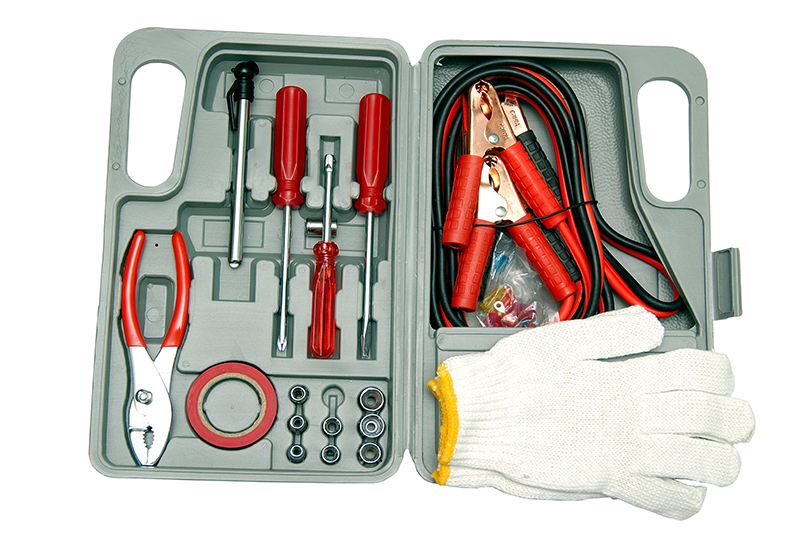 That being the case, a glove box car jump starter may be the perfect gift. At around $40, there is no need for a second car as this unit does the job for you! Because we all use the latest technology, from Smartphones to tablets, chargers are required. And, having a quality car charger is a must when you are on the road. Find out what type of mobile devices your car lover uses and purchase the best car charger on the market. Extra ports are a plus, so look out for units with multiple ports for charging several items at once. If you know your car lover well, consider purchasing customized car mats. Car mats can be bought in all styles and sizes, including custom materials and engravings. Create a stylish set of car mats for your loved one that will only sharpen the style of their ride. There is nothing worse than dirty car seats. If you have kids, then you may have experienced them kicking their feet and getting the back of the driver and passenger seats dirty. With kick mats, these seats stay clean. For the family or friend in your life who has small children, consider this as a practical gift. When your car enthusiast is in their vehicle often, it can be a good idea to provide additional comfort. A heated massage cushion with controls goes for around $50, and it is a great way to ensure warmth and support for the driver. Is the car lover in your life always in the garage working on their vehicle? If so, an industrial garage fan is an excellent gift choice. Help your loved one beat the heat while outdoors with a strong cooling fan designed to work in high-performance areas. When it comes to gift giving, keep it simple. 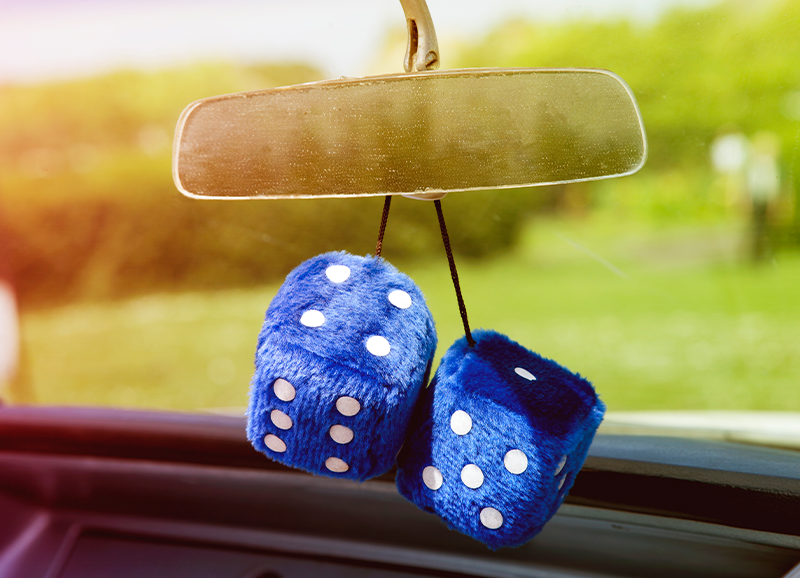 A new set of car dice will look great in a classic car and much-appreciated by a car enthusiast. Found in a variety of colors and materials, you can find the right decoration that is sure to please. While it may seem like your car enthusiast has everything they need, there is always a new gadget or tool to add to their collection. Surely, there is an endless list of gifts for car lovers to explore. For additional ideas on gifts for car lovers, check out these recommendations. And, remember to stay safe on the road this holiday season. Click here to read about the pros of adding a winter emergency kit to your car. I like reading your blog. Thank you for sharing.